I derive tremendous pleasure these days from a ride uptown to Lipa City now that the government’s widening project westward to where the road forks towards Batangas City and Lemery is nearing completion. 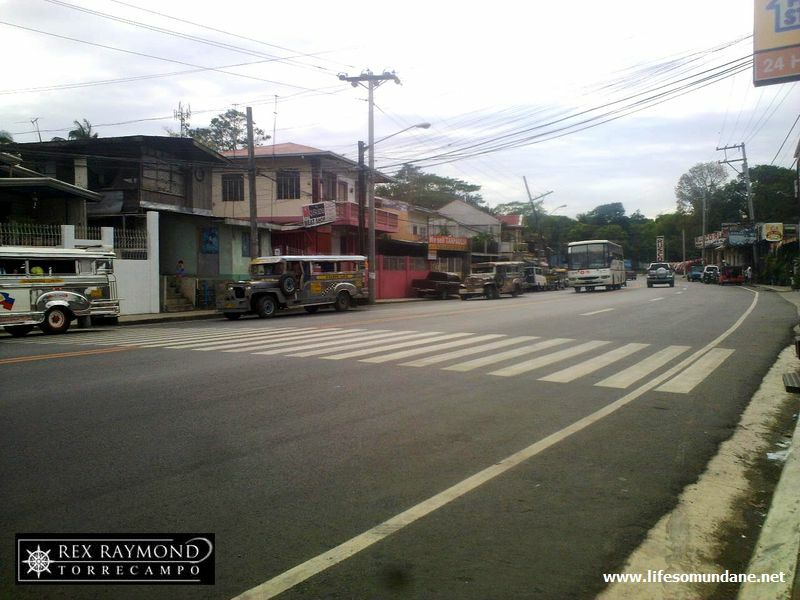 If by roads alone, the erstwhile quiet and agrarian city of Lipa is making a belated entry into the 21st century. Naturally, those of the younger generations will not be on the same page that I am. These very same roads used to be a mere two lanes and crudely paved with gravel and asphalt. Suffice it to say that there used to be a time when travelling on these same roads could be a tad inconvenient for those suffering from diarrhoea. 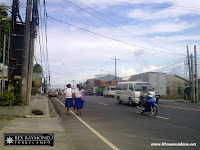 These days, the roads are not only excellently paved; they are also wide and neatly flanked by sidewalks. Including the service pavements, the road is now for all intents and purposes a six-line highway. Who would have thought? Even that bend from the front gate of Fernando Air Base towards the front gate of Catalina Village used to be such a hair-raising curve. Now, it arches gently either way, giving motorists plenty of time to see those who are driving in the opposite direction. I have issues with government programs that dole out to indigents but nonetheless turn a cheek to the very source of funding for these dole-outs: the taxpayers. 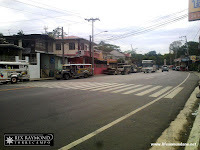 At last, with this road-widening project, government has something that is not only tangible proof of where taxpayers’ monies go, it is also of benefit both to indigents and the taxpayer. As a taxpayer, naturally I am edified. As much as I am pleased with the road widening project, though, I hope that government’s benevolence does not stop with it. Wider roads consequentially also mean faster vehicles. Corollary to the widening project, therefore, should be speed limits and more law enforcement personnel to enforce these limits. Those who frequently travel westwards from Lipa City proper will know that, from the corner of the perpendicular road leading to Mataas-na-Kahoy all the way to the fork leading to Batangas City and Lemery, the road is remarkably straight. In the old days, when the traffic was so much sparser, getting to this stretch was always the cue for drivers to step on their gas pedals. It came to the point when residents along the same stretch of road actually became blasé about vehicular accidents, frequent that they were. In fact, the subsequent increase in the volume of vehicles – which also slowed down the flow of traffic – actually helped to decrease the number of these accidents. Naturally, the widening of the very same stretch will once again be an invitation for impatient drivers to once again step on their gas pedals. Will it be too much to ask of government to designate speed limits and deploy motorcycle cops to see to it that these are observed? While I have little sympathy for those who get unscheduled appointments with the Almighty because they are always in a hurry when they drive, it is another thing altogether when pedestrians or – worse – homeowners become involved in vehicular accidents. Getting to the other side of the road when there were only four lanes was a challenging enough task for pedestrians. How much more when there are six lanes? Would somebody also please, please educate those motorcycle owners not to overtake to the right of vehicles? Because they are covered by the vehicles that they are trying to overtake, sometimes they are seen by pedestrians too late. In many countries, building codes do not allow the construction of domiciles roadside of national highways. This, as we all know, is just not possible in this country. From Batanes all the way to Jolo, houses stand right next to roads as a matter of course; and the closer to it, the more convenient it is even considered. 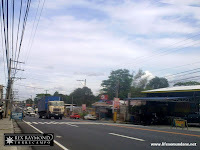 Because the road widening project has eaten up into private lots, many houses and establishments are now also frightfully and dangerously close to the roads. That is why I reiterate the need for speed limits and law reinforcement. To illustrate, many years back, I was astonished to ride past a house about a kilometre from where I live one early morning on my way to work to find that a truck had smashed right into its front porch. This was when the road still only had two lanes; and there was reasonable distance between the edge of the road and the front porch. Fortunately, there were no fatalities. How much more danger is there to houses now that there are six lanes? I pray that for those who live in houses now perilously close to the roads, going to sleep each night will not become something of a Russian roulette. Because the widening of the roads is supposed to be of benefit to citizens, won’t it just be odd if it also becomes a source of peril to the very same citizens?